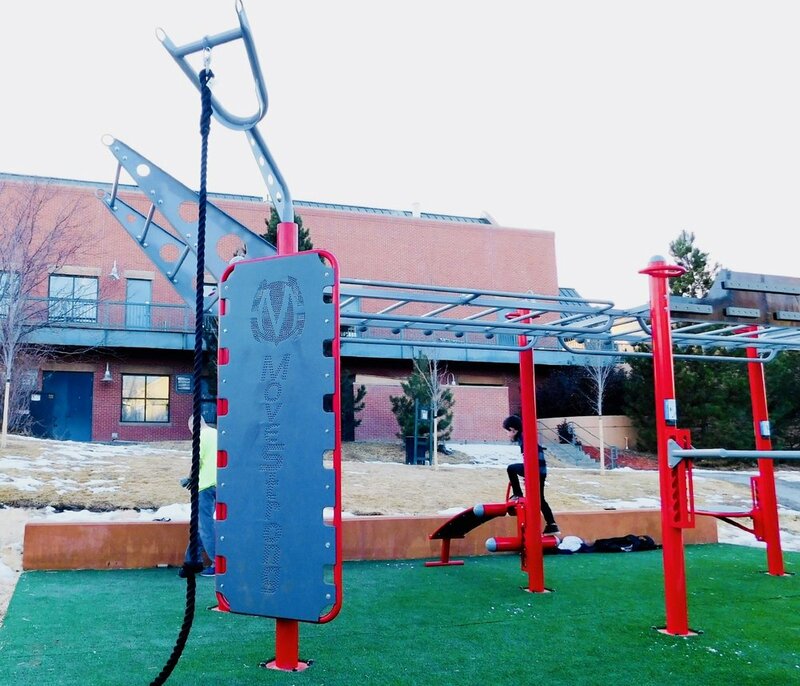 After installing the first MoveStrong FitGround at the Meridian Metropolitan Park in Englewood, CO last summer, the Denver parks selected a second location. 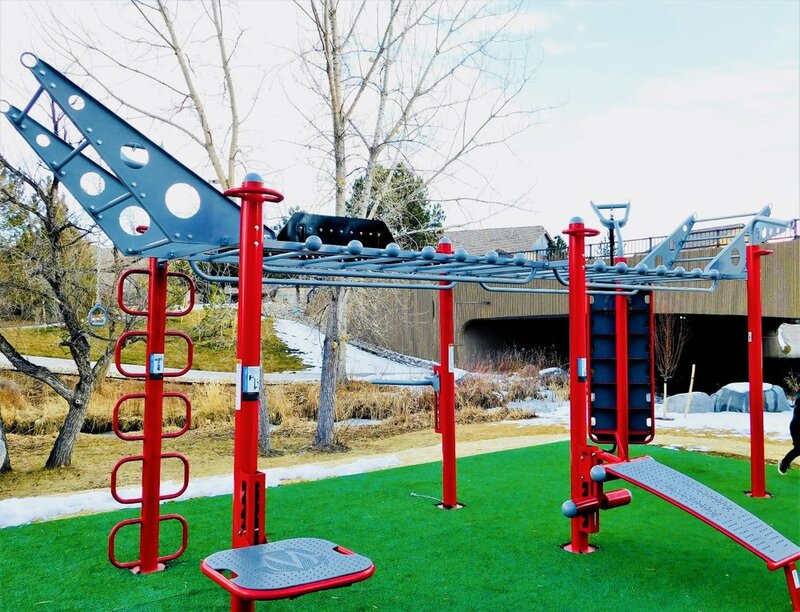 Early this year a MoveStrong T-Rex Outdoor FTS with double monkey bar bridge and customized with training features to offer the latest in bodyweight, calisthenics, and ninja warrior training! 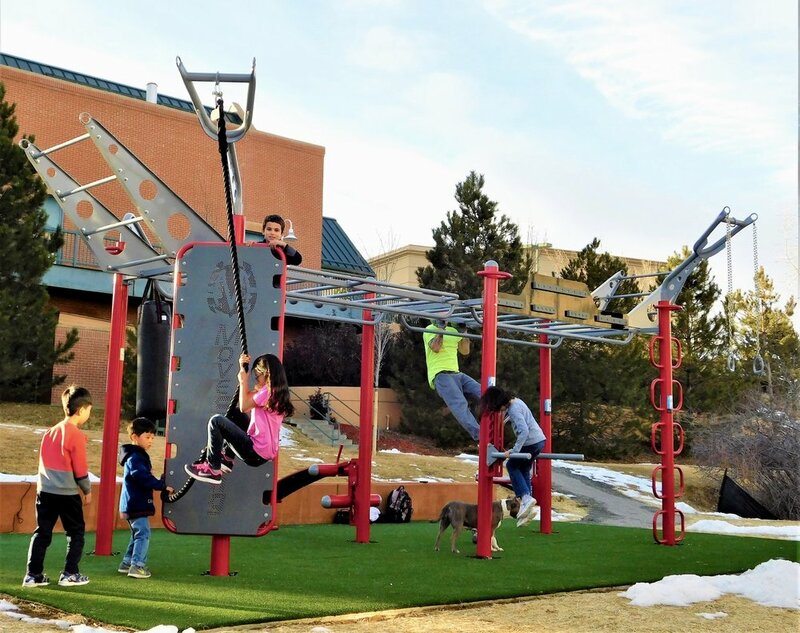 Those looking for a challenge for outdoor exercise or training like seen on obstacle course races can be done at the new fitness park area in the Denver Technology Center. 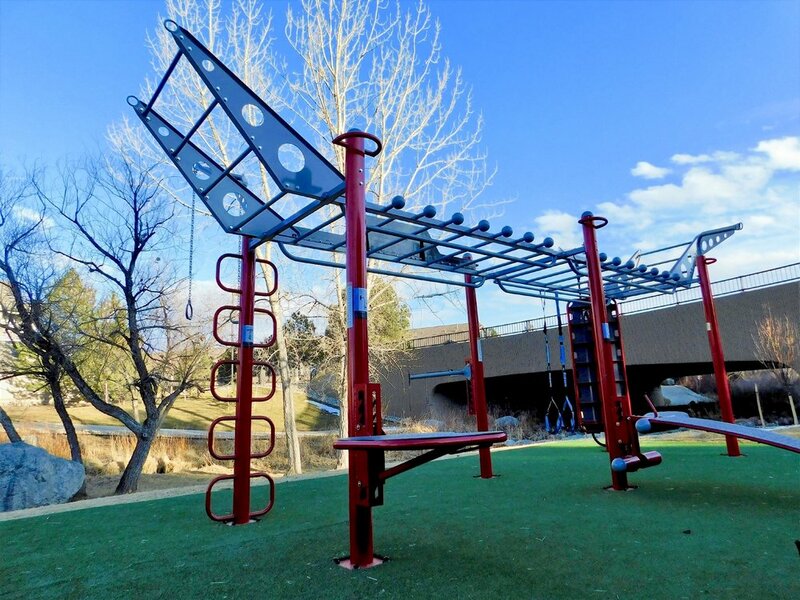 The training area was finished off with a artificial turf surface for comfort in exercising. 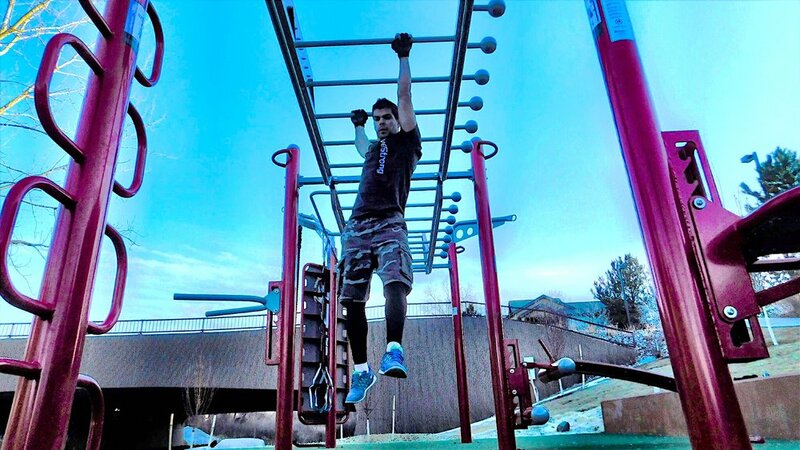 MoveStrong is committed to providing unique outdoor adult fitness solutions that allow park goers, trainers, enthusiast, and beginners of all fitness levels to take part in bodyweight exercise in a group or individual workout.